But for B2B businesses, audiences aren't typically hanging out on those platforms -- instead, they’re on LinkedIn. So, if you lead one of these businesses, use this information, because LinkedIn isn’t just for networking. You can use the platform to market your B2B and generate qualified leads that you can then convert into clients or customers. In fact, according to LinkedIn's claims, 80 percent of B2B marketing leads from social media come through LinkedIn. But, hold on ... you can’t just start connecting with professionals and expect your sales to go through the roof. So, how do you proceed? Here are some strategies on how to use LinkedIn for effective B2B marketing. 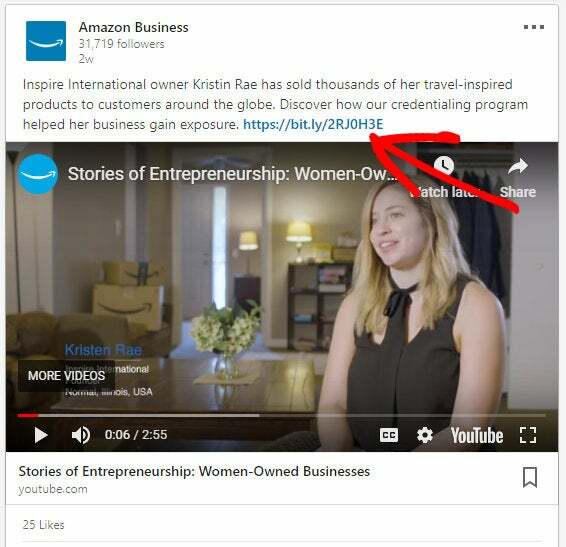 Take a look at this example from Amazon Business's LinkedIn page. The company shared this video showcasing how small businesses are using its credentialing program to gain exposure and include a call to action, so other businesses can do the same. There are over 560 million active professionals on LinkedIn, according to the platform; and with ads, you can target the people you want to reach by job title, function and industry to increase brand awareness as well as generate qualified leads for your company. 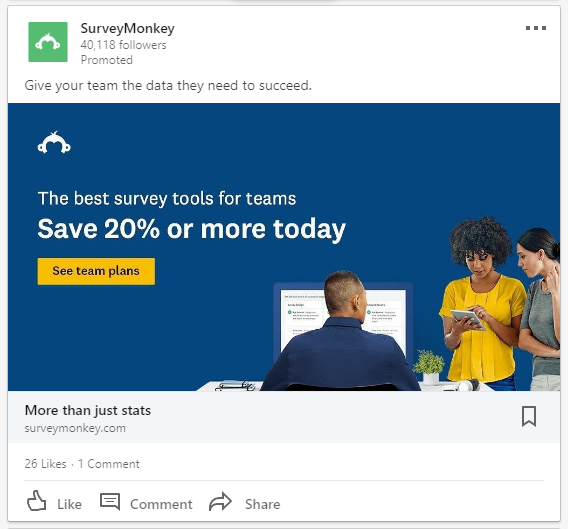 Plus, you can use LinkedIn Sponsored Content ads using the platform's Lead Gen Forms tool to collect even more qualified leads. It’s personal, genuine and conversational -- not brochure-like or salesy. Brand awareness isn’t the only benefit from using the platform, either. You can actually use LinkedIn to generate high-quality leads that will bring in cold, hard cash for your company. And that's always welcome, right?